American shad (Alosa sapidissima) were once an abundant migratory fish found throughout East Coast rivers and streams of North America, including the Brandywine River in Delaware and Pennsylvania. Shad were an important part of Native American and early colonial diets, and later, were the basis of an important commercial fishery in larger rivers like the Susquehanna and Delaware. Spring runs of shad comprised a unique and dramatic natural phenomenon, now a lost part o f our cultural heritage. Shad restoration efforts are underway in numerous rivers and streams along the East Coast. A 1985 study titled A Review and Recommendations Relating to Fishways Within the Delaware Basin commissioned by the Delaware Basin Fish and Wildlife Management Cooperative identified three tributaries historically used by shad for spawning which had “the greatest potential for restoration of the American shad.” These include the Lehigh, the Schuylkill, and the Brandywine Rivers. The following is a report on the current state of dams along the Brandywine River. Restoring shad to the Brandywine River has important economic, ecological, and cultural benefits for the Brandywine Valley region generally and the Wilmington area specifically. The research examines the 11 dams on the Brandywine River in Delaware with maps highlighting the dams and relevant landmarks, a report detailing each dam, along with photographs of the dams in their current state during the fall of 2015. 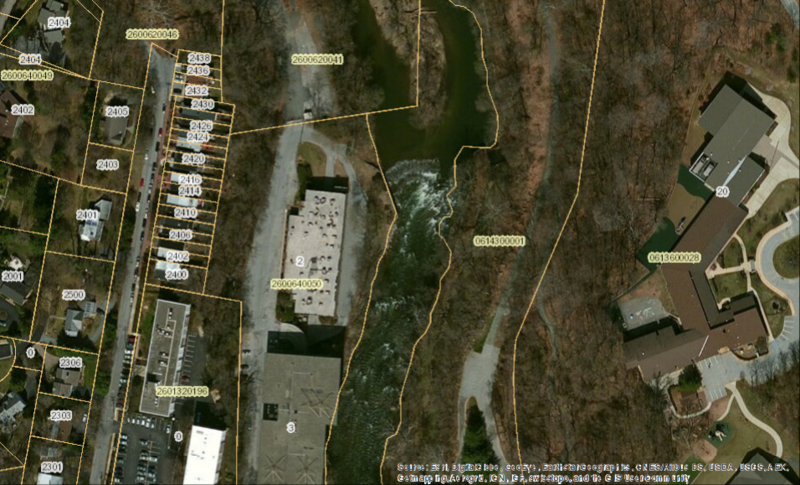 The description includes the dams location, river mile, owner (if known), parcel numbers and owners of land on east and west bank, historic and present function, approximate height (based on the 2005 survey by the Brandywine Conservancy), approximate width, if it has a mill race, and the estimated shad potential (cumulatively). The source for shad production estimates is A Review and Recommendations Relating to Fishways within the Delaware Basin by the Delaware Basin Fish and Wildlife Management Cooperative (Delaware Division of Fish and Wildlife, et al. 1985). Additionally, the appendix includes flood profiles of the dams.